Obituary for Ann M. Moody | Buechele Funeral Home and Cremation Services, Inc.
Ann Marie Moody, 66, a resident of the Chicora Medical Center, formerly of East Brady and Meridian, died Sunday, June 3, 2018, at Butler Memorial Hospital. Born July 6, 1951, in the state of Indiana, she was the daughter of Robert A. and Helen B. (Walker) Wissinger. Ann was a 1969 graduate of Butler High School. Shortly after graduation, she was employed at Butler Memorial Hospital for a few years as a messenger. After her sons were born, she became the office manager for Frank Rimer Nationwide Insurance in Chicora. Ann continued her career as Church Secretary for St. Eusebius/St. Richard Roman Catholic Parish in East Brady for 21 years. In addition, she worked a few years at Taylor’s Riverside in East Brady. Ann was very active in the East Brady Community. 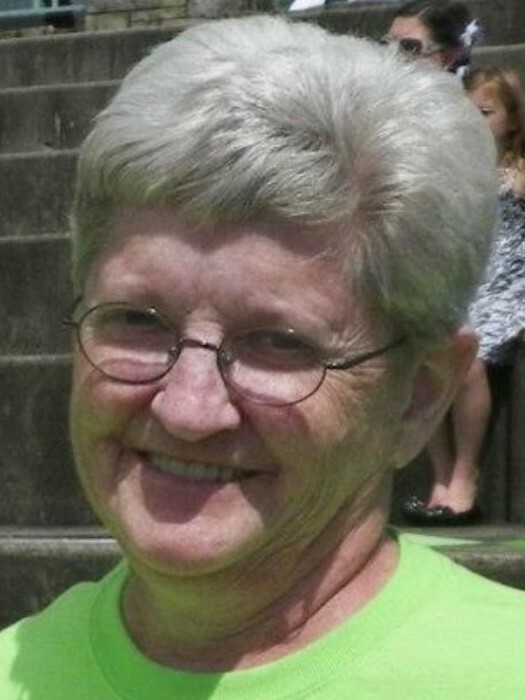 She drove for the East Brady Ambulance for several years and served on the Riverfest Committee. She was a lifelong member of the Girl Scouts and enjoyed being a troop leader. She also enjoyed writing and reading poetry, quilting, crafting and sending birthday greetings to family and friends. She was a member of the Sing Hosanna! Group in Butler. A member of St. Eusebius Church, Ann served as a lector, was part of the Ladies’ Guild, taught CCD, assisted with Vacation Bible School and sang in the choir. Her greatest joy was spending time with her family. Ann is survived by two sons; Shawn Moody and wife Jenn of Zelienople; and Jason Moody of East Brady. She also is survived by her grandchildren whom she adored: Jonathan Moody and Victoria Moody; three brothers, David (Amy Rose) Wissinger of Lebanon, Pa., Robert (Joanne) Wissinger of Renfrew, and William (Marsha) Wissinger of Butler; along with numerous nieces and nephews. Friends of Ann M. Moody will be received from 2:00-4:00 and 6:00-8:00 PM Wednesday June 6, 2018 at Buechele Funeral Home and Cremation Services Inc. 707 Kellys Way, East Brady, PA 16028. A Parish Prayer Service will be held at 3:30 PM Wednesday at the Funeral Home. A Mass of Christian Burial will be celebrated at 11:00 AM Thursday, June 7, 2018 at St. Eusebius Roman Catholic Church with Rev. William Kuba and Rev. Joseph Kalinowski concelebrating. Private burial will follow in Butler County Memorial Park. In lieu of flowers, the Moody family asks the donations be made to the Girl Scouts of Western PA 2359 Freeport Rd, Kittanning, PA 16201.